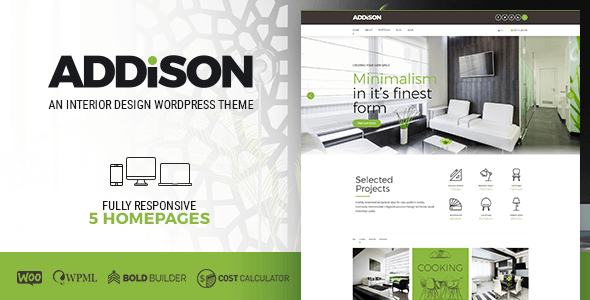 Addison responds elegantly to various screen sizes and has been tested to work across devices, from the largest of desktops to modern smartphones. 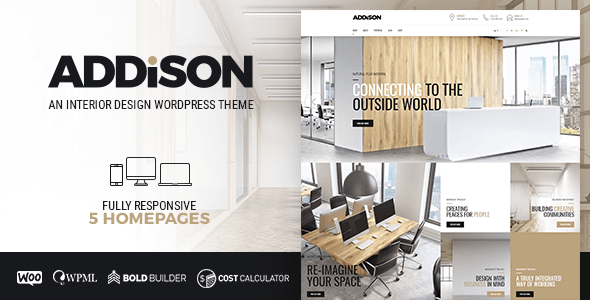 Addison offers comprehensive options panel, distinctive typography and customizable quote calculator. It also includes easy to use and fast page builder. 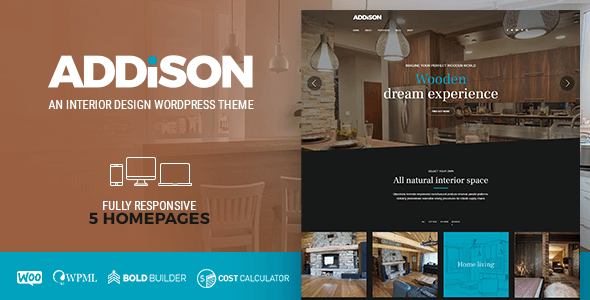 No matter what you want to show, you will find Addison’s features a perfect fit for all types of interior, exterior or landscape design and decoration websites. 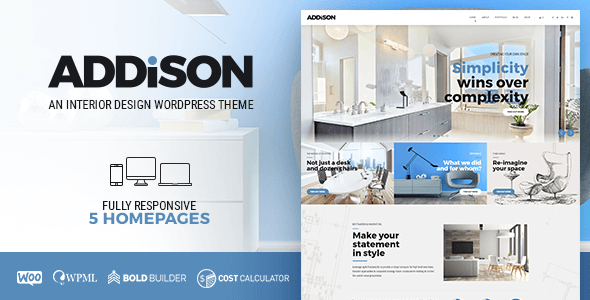 Since it’s an architecture interior /exterior or landscape design and decoration WordPress theme, you will find Addison packed with carefully selected and crafted features. 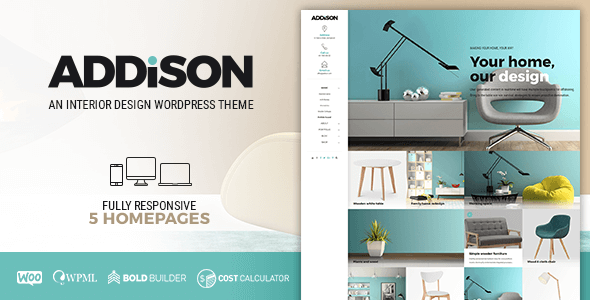 Addison comes with ready to use demo content. With one click import you can get your website ready in minutes. It comes with free updates and free support by our highly acclaimed team.